The City of Lewes and the Lewes Board of Public Works (BPW) determined that the 2nd Street commercial/residential corridor in downtown Lewes was in need of structural and economical revitalization. The street’s aging infrastructure, both above and under ground, required major improvements. For instance, the sidewalks were deteriorated, the cable, telephone and electric lines were above ground and unsightly, and the existing trees were brittle and reaching the end of their lifespan. Equally important, the City hoped to enhance the aesthetics of the downtown shopping area, a popular spot for residents and tourists. GMB worked with the City and the BPW to revitalize 2nd Street from preliminary planning through construction phase services. GMB developed schematic plans for above ground improvements and utility upgrade needs during the planning phase. During the project’s design development, GMB assisted in obtaining funding, facilitated public hearings, proposed cost estimates, and developed design and construction documents. Finally, GMB assisted the City in contractor bidding and award, and provided construction-phase administration services. The new facelift for 2nd Street utilized several innovative design characteristics. New storm drain piping and catch basins and a new 12-inch water main were important aspects of the utility upgrade. 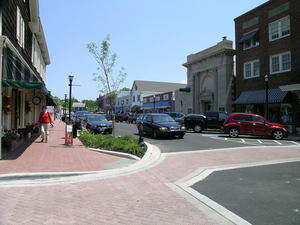 The new streetscape design included concrete paver sidewalks and crosswalks. 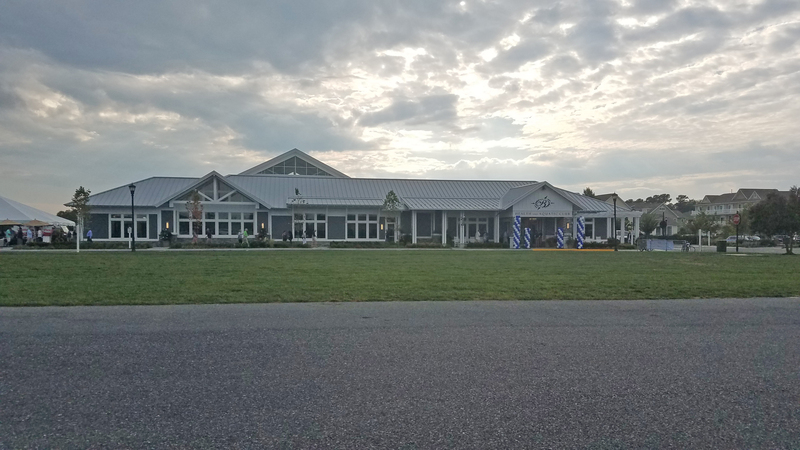 GMB coordinated with its landscape architect, members of Delaware Forest Service and local tree experts to develop the final landscape plan including new trees and plantings. In addition, new streetlights, bollard lights, benches, trash receptacles, ash receptacles and street signs were designed to enhance the character of 2nd Street. GMB faced several challenges throughout construction of the project. The sidewalk adjacent to a 220-year old brick wall at St. Peter’s Episcopal Church was to be replaced. To eliminate any disturbance to the brick wall, GMB used a technique involving through-wall stabilizers. Other challenges involved coordinating the relocation of power, telephone and cable utilities underground, and providing constant communication with merchants and residents. Overall, the 2nd Street Revitalization was a success for the community of Lewes. Not only was construction completed within the 9 month schedule (working to avoid the merchant’s busy season), the project was also completed within the targeted budget.